It’s hard to wrap my head around living in a city where everyone skis. 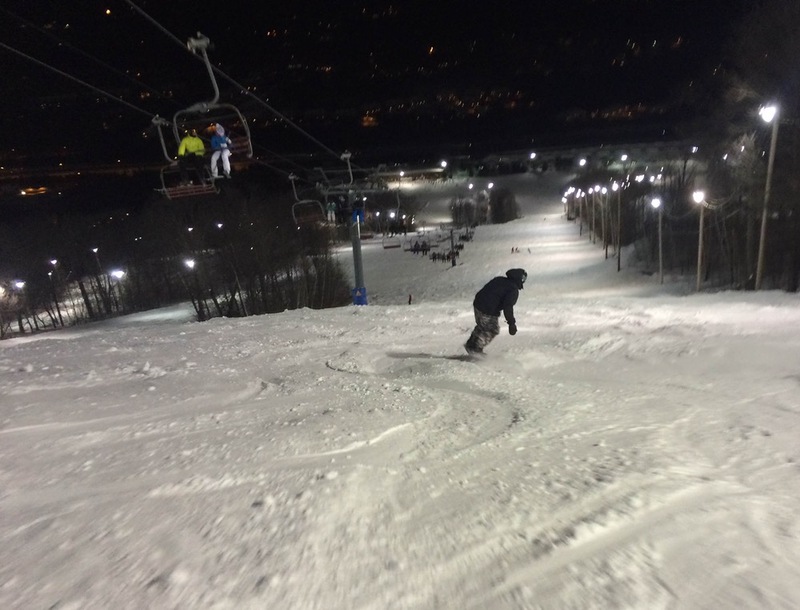 Skiing is such a subculture in metro New York, that to be really passionate about it gives you a little identity. If you storm chase, you know that when you’re in an elevator at work the other 11 guys are all grumbling about winter, so you have to wear your smile on the inside. In Montreal, it’s different. I’ll meet people at a technology conference and before I know it everyone is discussing the weather models and Candide’s newest video. When the weather failed to pan-out last week, instead of relief about the lack of snow, we were greeted with a meme declaring “I survived the Montreal Blizzard 3/2/16” with a picture of cars under a light coating of snow. Still, the forecasted snow ended up somewhere, and I joined a few friends on the trip to an urban area 40 minutes north of the city, in the commuter range called Mont Saint-Sauveur. Sitting above the town that gives it its name, I’d noticed the ski area on social media because it is one of the first to open and last to close in the East. The stretch of the Route 15 where MSS sits is home to quite a few areas, it almost seems like a mini-alps with ski runs several cascading into the valley. The snow that shied away from Montreal did not miss the mountains to the North. MSS had about eight inches, and I was surprised to find the trails were relatively uncrowded and featured lots of cut up pow. I have to go back to my last Colorado trip to remember conditions quite like this. The snow was a bit wind effected, soft and kind of bottomless. The terrain is sustained at a fun but gentle pitch. There was no ice to be found anywhere and not a rock in the woods. It was simple and small, just good skiing. We made the most of it, yo-yo-ing from MSS to a sister resort on the other side called Avila, which had fewer crowds and some interesting terrain. I would have liked a history lesson on these mountains; I was only told that for awhile the parent company owned Jay Peak as well. That must have been a cool ticket, to ski in the backyard and hit the big mountain when time allowed. Still, the passes are pretty generous, and I considered a $120 spring deal which opens up night skiing in that valley and at Bromine. After four hours of skiing cut up pow we were cooked and at the same time freezing as the mercury has no bottom floor at this latitude. Driving through town to buy gas I took a last look at the over-the-head snowbanks. I’ll miss them when they’re gone, but I can’t say that I had the dark year that my friends to the south had. I saw snowbanks. I shoveled my car. I felt snow pushing past my knees as I skied. And even in the darkest of hours, I know that those piles at MSS should be deep enough to go to deep into spring in case any snow starved individuals are up for a longer commute. This proves that we need to move closer to these places too… Great story and nice to surrounded by a culture that has an appreciation for winter. 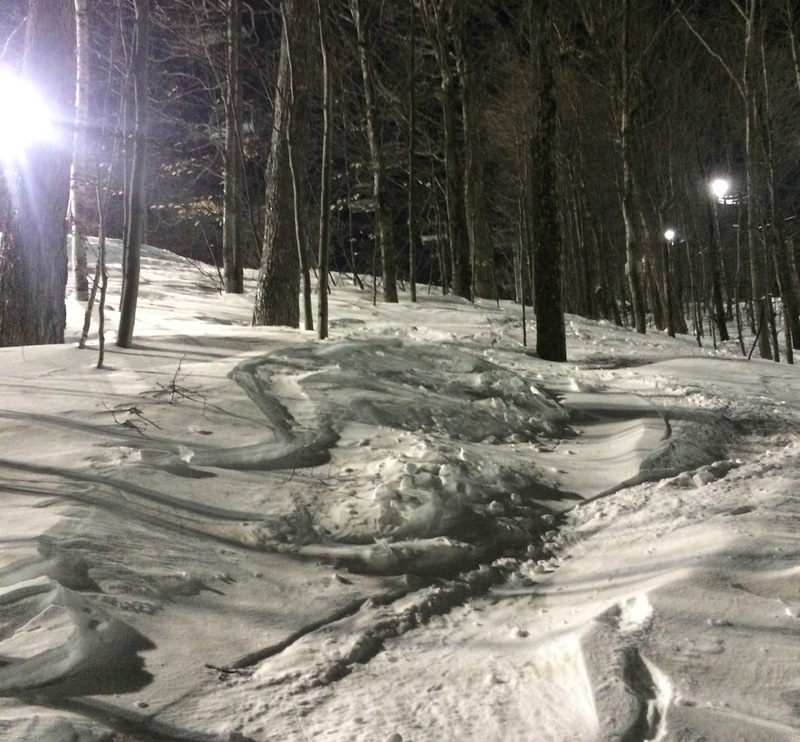 Thanks for this post – great to know about another sweet spot in Quebec outside the big resorts of Tremblant, Mont Sainte-Anne, etc. 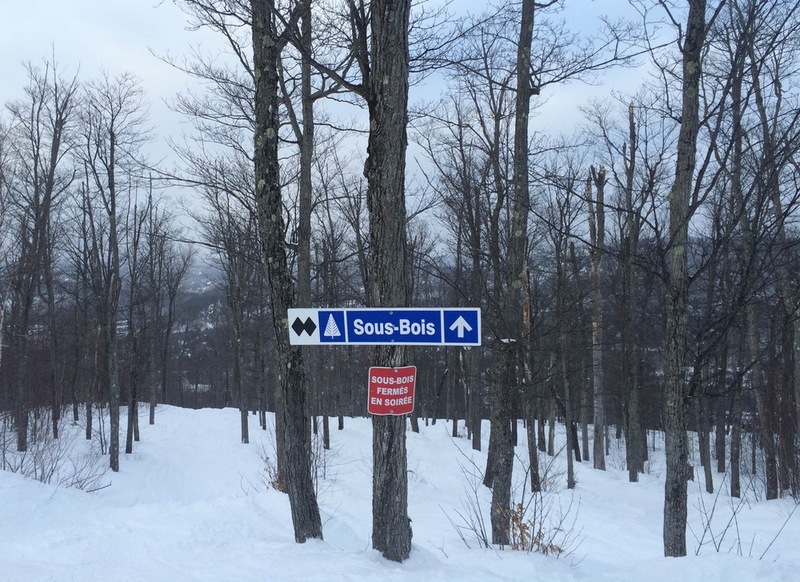 I was up at Le Massif on Saturday and Massif du Sud on Sunday, and conditions were amazing (especially at Massif du Sud – which I only discovered from a mention on the NY Ski Blog). They’d evidently received close to three feet around Quebec City over the last week, and you could tell from the walls of snow on the road. Felt great to get in the trees on proper powder, and it definitely saddened me that we haven’t had anything close in NY this year. …jealous! haven’t had a chance to run the California Glade at Plattekill even once! Great piece. The one thing I’d say. When you’re in an NYC elevator with 11 guys moaning about the winter, I’d tell them, the weather is great, I wish we had 12 inches of snow. skied at tremblant last weekend and was so pleased to see ~10 smaller ski areas on the drive up. silver lining on this crap winter was that it got me up all the way to quebec. was a great experience and the most consistent snow cover i’ve skied in the east this year, save for a powder day at jay 2 weekends ago. 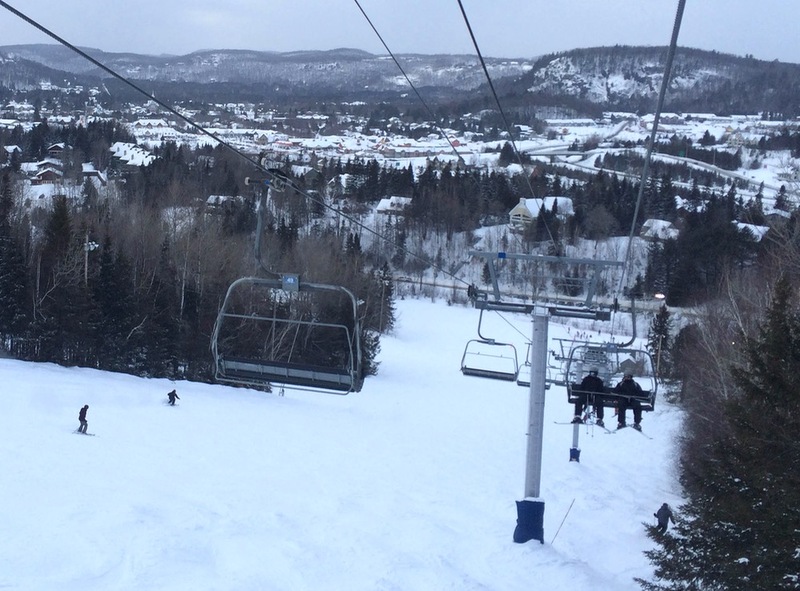 doesn’t hurt that tremblant was included on my max pass.